Meatballs are the one thing you’ll probably skip if you’re just trying to whip up a quick homemade spaghetti dish. Our opinion, then, is that those meatballs have some expectations attached to them. 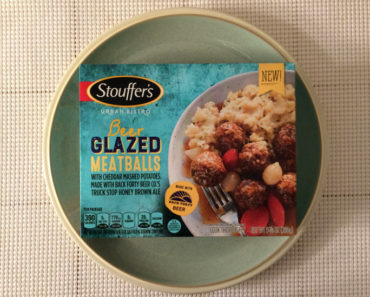 There’s no point to just throw some old, soggy balls of meat into a dish and call it a day. 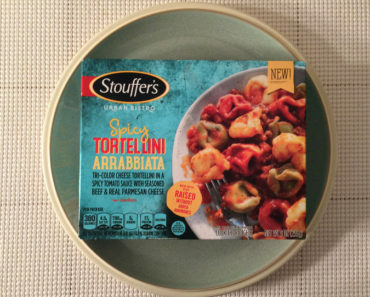 So it was important for Stouffer’s to get that part right. Thankfully, these meatballs are pretty good. 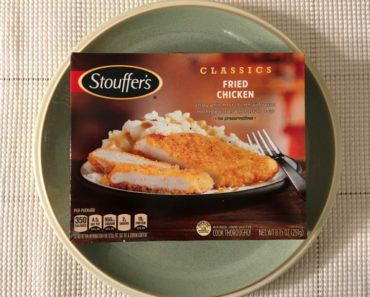 They have a melt-in-your-mouth consistency and a great flavor. They really do add something to this dish. We really like the sauce too. It has that sweet flavor to it, sort of like a Prego sauce. We love Prego, so for us this is an upside. Your mileage may vary. This sauce is also nice and thick, so you don’t have to worry about trying to scoop noodles out of a watery soup when you eat this. The noodles are a little weak. They lack the firmness that a homemade spaghetti noodle usually has, so they feel a bit soggy in your mouth. Of course, this is our biggest complaint about this dish, and it’s definitely not enough to ruin the experience. 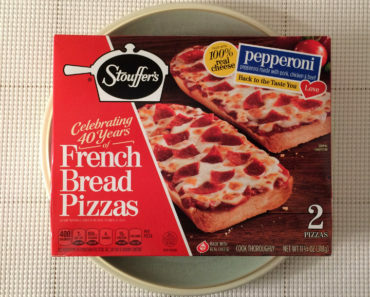 If you’re on a diet, this may not be the perfect dish, since it has 420 calories (100 from fat). Of course, spaghetti isn’t typically seen as a diet food. 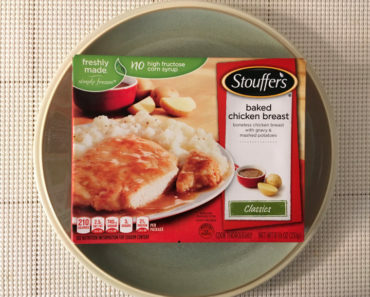 Besides, this meal is actually pretty robust and filling, so it won’t send you back to the fridge to scavenge for a second course like some lighter frozen meals will. It is loaded with sodium, though, with 780 mg.
We had our reservations about this dish at first, but it managed to win us over. 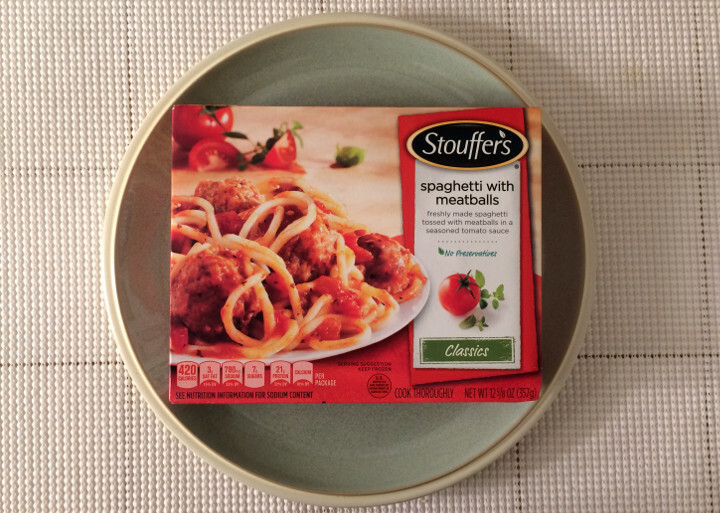 Stouffer’s Spaghetti with Meatballs is a good-tasting pasta dish that keeps things simple. 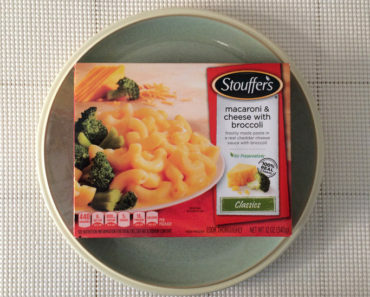 The next time we get the urge to boil some noodles and cook up some sauce, we’ll consider tossing one of these into the microwave instead. 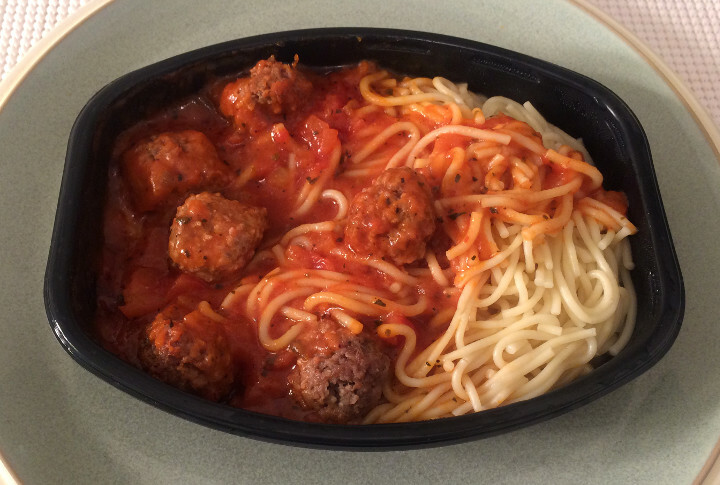 To learn more about the nutrition or ingredients in this frozen spaghetti, check out our package scans below.